One of the most effective and successful directions of German medicine is orthopedics. Morbidity statistics shows that 90% of German citizens after 70 years suffer from these disorders. In Russia, the number of patients with rheumatoid arthritis only approaching 0.62 % of the population that is approximately equal to 17 million patients. Scientists project that by 2030 the number of arthritis patients in the world will increase from 46 million (2011 ) to 70 million people. Every day in the best orthopedic and rheumatological clinic centers in Germany receives patients from around the world with various diseases of the joints. According to statistics, every year in Germany held 120,000 operations hip replacement operations 75,000 - knee replacement. German experts use in their practice the most modern methods of surgical treatment of joints. In Germany, high technologies transplantation of bone and soft tissue, joint replacement, removal of bone tumors ( sarcomas ) and soft tissue replacement, arthroplasty, arthroscopy, osteotomy, synovectomy, arthrodesis and transplantation of cartilage cells. Treatment of diseases of the joints in Germany is likely to guarantee complete freedom from even the most severe forms of disease. For selection of the correct method of treatment programs and in Germany a lot of attention is paid to the diagnosis of the musculoskeletal system, which is held vmnogoprofilnyh medical centers. Used for the diagnosis of a wide range of a variety of techniques, which include: arthroscopy, radiography, computed tomography, magnetic resonance imaging, scintigraphy, ultrasound, and laboratory diagnostic techniques. Arthroscopy is the most common surgical procedure used not only for diagnosis but also for treatment of joints in Germany. 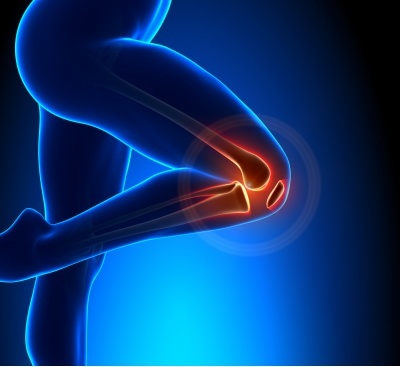 In order diagnostic arthroscopy is used to establish the causes of arthritis and arthrosis, as well as to determine the current state of the joint cartilage and synovium still in the early stages of osteoarthritis. Radiography of the joints in Germany - a diagnostic technique which helps establish the fact of soft tissue tumors, helps trace the bone erosion that is characteristic of the development of rheumatoid arthritis. Computed tomography (CT ) of the joints in Germany more advanced than X-ray method. Images of bone structure in layers removed and immediately processed by the computer, allowing you to get very clear pictures as bone structure and soft tissue. Magnetic resonance imaging (MRI ) of the joints in Germany. This method is widely used in hospitals for the diagnosis of leading the treatment of joints in Germany. In addition, diagnosis using magnetic resonance imaging is the most harmless, since in its conduct does not use X-rays, which influence on the body differ radiography and computed tomography. Scintigraphy joints in Germany - a diagnostic method using the functional imaging which is to obtain images of the internal regions of the body in the process of registering the emitted radiation from a previously entered using the contrast agent of radioactive isotopes. From a long time scintigraphy was diagnosed with cancer of bone, it is also used for the detection of open areas of bone growth. Recently, a diagnostic method of this research has found application in treatment of joints in Germany, including diagnosis of various forms of arthritis and arthrosis. The use of ultrasound in the diagnosis helps determine the kind of joint disease, arthritis or osteoarthritis without direct surgical intervention and is absolutely safe for the patient's health, because it eliminates the use of radioactive substances. Currently in Germany carried out an active development of new specialized techniques , implementation of which will be determined with high accuracy the presence of antinuclear antibodies in the blood, the presence of which indicates the flow of inflammatory processes associated with the development of diseases of the joints in the body. Another development, being tested at the University of Erlangen, successfully proves that the new key to the assessment of the risks of the disease of the joints may be already familiar in science VCAM- 1 protein associated with the disease of atherosclerosis. Found that patients with high VCAM- 1, regardless of age and body weight, 4-5 times more likely to suffer from osteoarthritis of the knee and hip joints than patients with low levels of VCAM- 1. Through research immunological characteristics conducted in research centers in Germany , it was recently revealed that a significant effectiveness in the fight against rheumatoid arthritis shows monoclonal antibodies , although not so long ago only a few could suggest the possibility of their application in a similar industry. Research in this area are recognized as very promising in the treatment of joints in Germany, as the use of monoclonal antibodies reduces the intensity of the self-destruction of the body, which occurs whenever the immune system detects a malfunction of an organ or joint. Monoclonal antibodies reduce the activity of white blood cells and helps to normalize the overall condition of the body in identifying the diagnosis laboratory method complications caused by arthritis or arthrosis. This diagnostic method is still considered a very specific and have not found a wide application in the diagnosis of rheumatoid arthritis in Germany.